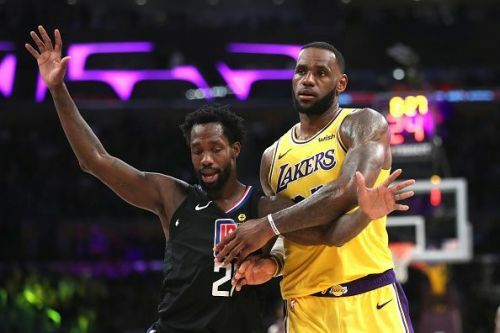 The Los Angeles Lakers hosted the Los Angeles Clippers at the Staples Center in the third match up of the season between the two teams. The Clippers won the encounter 113-105 and look increasingly likely to make the playoffs this year. The Lakers with the loss have dropped 5.5 games back of the final playoff spot and hold a 30-34 win-loss record. They have now dropped three consecutive games and 5 out of the last six matches. The Clippers hold a 37-29 record and the seventh spot in the Western Conference playoff standings. They also hold a 2-1 series advantage over the Lakers this season. This was a catastrophic result for the Los Angeles Lakers as the Clippers were a team that they were directly chasing for the playoff spot. It seems that for the first time a LeBron James led team is going to miss the playoffs since the 2004-05 season. Here are the top 3 talking points from the game. The Lakers struggled shooting the basketball for the entire night. None of the Lakers players found the shooting spot. The Lakers shot only 41.8% from the field and a very poor 26.3% from the 3-point line. The Clippers shot the ball far better on the night and that proved the difference. Rajon Rondo was the only Laker who had a good impact on the offensive end. He had a triple-double finishing with 24 points, 10 rebounds and 12 assists on 10-18 shooting from the field. 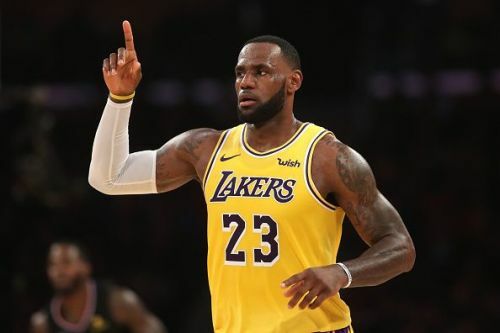 LeBron James also finished with 27 points, 8 rebounds and 6 assists but he was very quiet on the offensive end and didn't look his usual self. The Lakers need to win a lot of matches going forward if they want to have any chance of restoring their season.